Die Toten Hosen, Zucchero, Bilderbuch, Conchita Wurst, Konstantin Wecker, Soap & Skin, Seiler & Speer, Maschek, Thomas Stipsits, Raoul Hasepl, Tagträumer, Kreisky, Christoph & Lollo, Salah Ammo, Peter Gabis و Thomas David. The Austrian NGO Volkshilfe is organizing a big concert to show solidarity with refugees on October 3, 2015 which will take place on the Heldenplatz in Vienna. 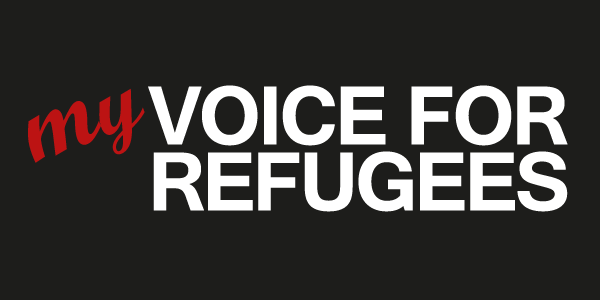 With this event, the NGO Volkshilfe wants to illustrate that seeking refuge from war and disaster is not a crime and that all European countries must take on the responsibility of organizing and executing humane policies vis a vis the issue of asylum and the treatment of asylum seekers. Volkshilfe invites all people to this concert: those who have fled from war, those who are volunteer helpers and ALL those who would like to raise their voices to campaign for more humane policies towards asylum seekers. Many musicians and bands will perform to show their solidarity with refugees and entertain the audience with their performances. The following artists will be performing: Die Toten Hosen, Zucchero, Bilderbuch, Conchita Wurst, Konstantin Wecker, Soap & Skin, Seiler & Speer, Maschek, Thomas Stipsits, Raoul Hasepl, Tagträumer, Kreisky, Christoph & Lollo, Salah Ammo & Peter Gabis and Thomas David. Volkshilfe is looking forward to a unique evening of entertainment which will also highlight solidarity. L’ONG autrichienne « Volkshilfe » organise un grand concert de solidarité le 3 octobre sur la Heldenplatz à Vienne. C’est un appel : un appel pour dire que fuir n’est pas un crime et que toute l’Europe doit prendre ses responsabilités et mener une politique d’asile humaine. Nous invitons tout les refugiés, toutes les personnes engagées et bénévoles et TOUS ceux qui voudront élever leurs voix pour une politique d’asile humaine. De nombreux musiciens et groupes musicaux seront présent pour afficher leur solidarité avec les réfugiés à travers des concerts et une ambiance festive. Artistes présents : Die Toten Hosen, Zucchero, Bilderbuch, Conchita Wurst, Konstantin Wecker, Soap & Skin, Seiler & Speer, Maschek, Thomas Stipsits, Raoul Hasepl, Tagträumer, Kreisky, Christoph & Lollo, Salah Ammo & Peter Gabis et Thomas David. L’entrée est libre. Nous souhaitons que ce soit une grande fête musicale, marquée par la solidarité.